We’re into week three of the new academic year, and we’re starting to see the results of the changes I wrote about in the previous update. I have to admit I was a bit jittery before classes started on April 1st. I was nervous about the new materials for the output classes, I was nervous about teaching six nights/twelve hours a week, and I was nervous about the larger class sizes. 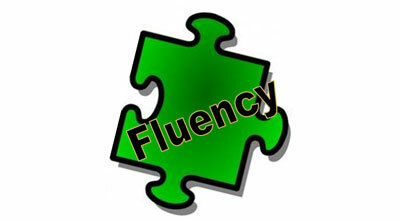 We’ve been working on the Fluency course for about a year now. We have year one in draft form, and will be using it with the three classes (28 students) of JHS 1st years we have this year as an alpha trial. If anything, the materials work even better than I had hoped. Students have responded extremely well, they are visibly improving already, and the classes are just fun to teach. The course is based on the New Horizon content, but vastly expanded and designed to get the students speaking, reading, and writing fluently. The first year of the course is 15,000 words long (three times the amount in all three years of New Horizon) and students explicitly study 720 words in the 48 lessons. Students do speaking and writing practice, speed reading, verb/pronoun exercises, and memorize and write dialogues. They are constantly working for 60 minutes. It’s a beautiful thing to see and teach. We also use Quizlet (search for CA OUTPUT 1 to see our lessons) to preview and practice vocabulary and questions for the class, and students do Duolingo as optional language practice. This year we will write the second year of the course, and next year we’ll have a beta of the first-year course at Cambridge and at another partner school, while we do the alpha of the second-year course at Cambridge. This also went way better than I had expected. I didn’t intend to teach six nights a week, but we had so many students wanting to join that we chose to add another day (Mondays), as well as increase class sizes (see below) to accommodate them. The classes are fun, and even with the extra preparation needed for the first couple of classes, have so far not been too overwhelming. I have an assistant in each class but, to be honest, haven’t really needed them so far. This might be the best thing of all. Up until this year, all our classes had a maximum of six students in. This year due to unexpected demand (we were expecting up to twenty JHS1 students: we actually got twenty-eight) we increased the class size to ten. I was expecting it to be more difficult to teach. I was also expecting the parents to be unhappy. The thing is, with our new fluency course, it’s easier to run the class as students need less individual attention. The atmosphere actually improved with more students in the room. In fact, I think this will work equally well (or better!) with twenty or thirty students. Parents haven’t complained. In fact, many of them have told us their children are really enjoying the classes. BUT, I learned a huge amount and had fun. Looking forward to doing a better job with the second one. This year we are creating a new curriculum for the Cambridge Academy output classes. I’ve written (and thought) a lot about the Academy reading program input classes, but over 90% of our students also take an output class. Output classes are small group (up to six students) communication classes focusing mainly on speaking and writing. This year I am taking a closer look at these classes because I have noticed that they may be far more important than I realized. I believe the reading program delivers most of the benefit to our students. Extensive reading and listening for at least an hour a week is going to complement everything else they are doing at school and outside and give them the amount of input they need to start internalizing the language. However, in our input classes students work alone reading and listening to texts. They don’t necessarily notice the progress they are making, nor do they form emotional connections with their classmates or teachers. That’s where the output classes come in. Students do pairwork and communicate through speaking and writing. If they enjoy the output classes they will be more motivated and have a positive view of our school. In a way, the output classes are the heart of the program. Which is why we are trying to improve them this year. Last year the output classes were a bit of an afterthought, and did not produce the results or the atmosphere we wanted. This year we are shaking things up with some major changes. Two things prompted this: I read some articles about how homework doesn’t do much for students and they really resonated with me, and we noticed that only about half of our students were actually doing the homework we set. Now, I think the benefits of formal homework could be debated, but for us the negative aspects of students not doing homework were far more important. First of all, it was very disruptive to have some students do the homework and others not. We had to take class time to help them catch up at which point that students that actually did the homework got annoyed. Asking/nagging students about homework also created a negative atmosphere in the class, and made some students not want to come to class merely because they felt bad about not doing the homework. This is why from this month we will not be setting formal homework in our Academy classes. 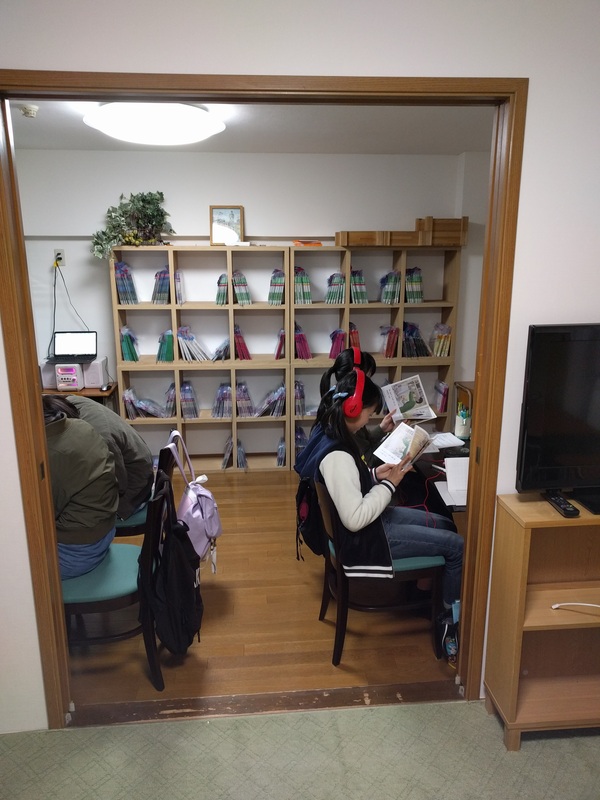 Students have self-study they can do (extensive reading and listening, vocabulary study with Word Engine, listening practice with elllo) but nothing compulsory. The no homework policy is going well so far. This came from reflecting on university classes based on the PDR method, as well as Yuko Suzuki’s take on shadoku. I have come to believe that our students need fluency practice, ie doing relatively easy linguistic tasks in order to acquire automaticity. What this looks like in practice is doing question and answer drills, timed writing, and repeating speaking activities multiple times. Again, based on a couple of weeks: better atmosphere, happier students, more satisfied teachers. We’ll see how it goes as students get over the novelty and potentially start getting bored over the next few months. In the longterm I would like to create an original curriculum for junior and senior high school students that doesn’t require commercial textbooks, based on the principles we are exploring in our output classes. Such a curriculum could be useful not only to Cambridge Academy, but potentially to other private language schools and even junior and senior high schools interested in running a communication class once a week. More details as this project progresses. 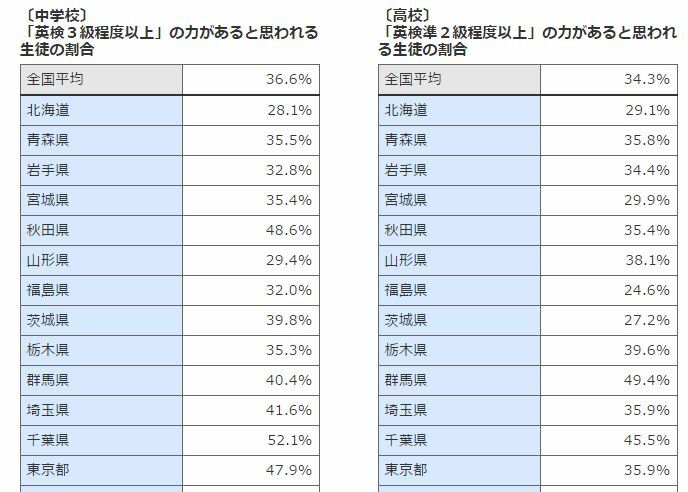 Following on from the report on Japanese junior high school student English proficiency, I saw this article today about high school students (also this better article with the percentages for each prefecture in Japanese). 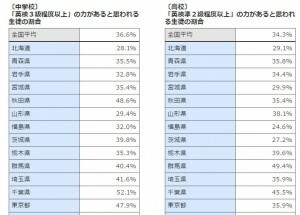 Miyagi sadly is below the national average for both junior and senior high school. I don’t think the results are very surprising. I do wish they would use better tests to set targets, as in my experience it is possible to pass Eiken with relatively poor English skills if you are lucky or prepare for the test format. I would prefer to see a test with separate scores for skills rather than the catch-all pass/fail STEP Eiken. Also the root of the problem can be seen here: poor English teacher language proficiency. 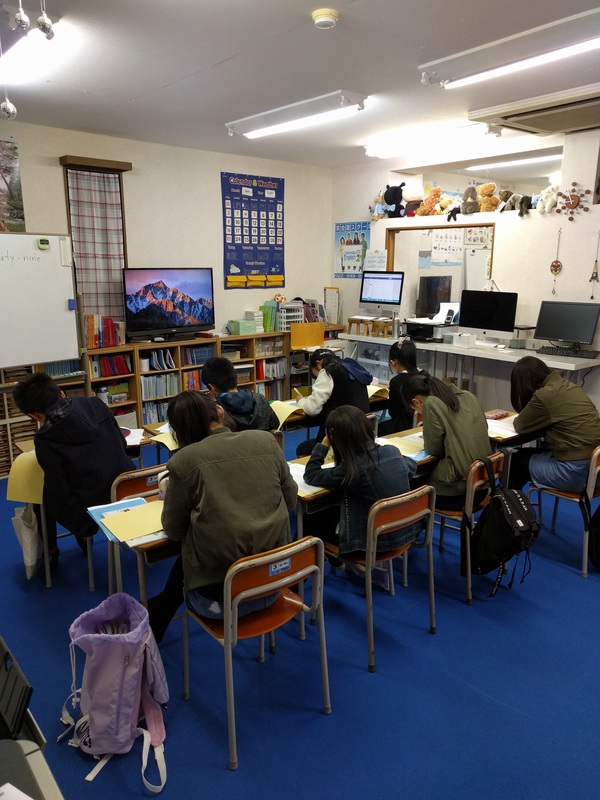 It is incredible, given how much effort and resources Japan puts into English education, that people with insufficient practical language ability are employed to teach it. It should be a huge priority to encourage and help English teachers in junior and senior high school improve their language skills, and to make practical language proficiency a firm requirement when hiring new English teachers. It’s been a tough ten years. It’s been a wonderful ten years as well in many ways, but working two or three jobs, six or seven days a week for years on end takes its toll. Some days I just want to give up. A few times I have felt completely crushed and unable to teach. Burnout is real, and is a major danger to teachers as teaching is one of those jobs that you can’t stop at 5pm and leave behind at the office. Right now I am enjoying myself again, but it was a close thing a few times. One of my major goals this year is to work on these for myself. 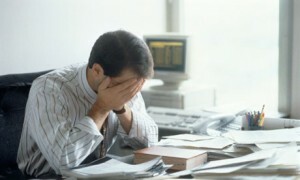 There is no point in succeeding at work if it destroys your enjoyment of life. How about you? Are you heading for burnout?